Are you planning to cash in on the enormous returns that many of the top Initial Coin Offerings (ICOs) offer? 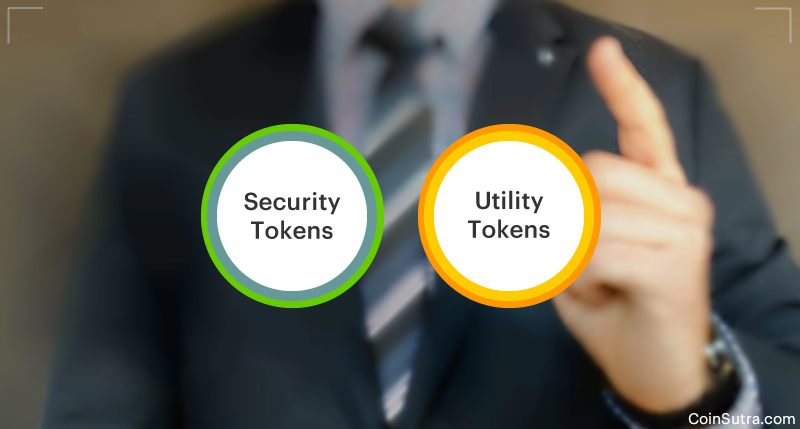 If you are then you definitely need to know what is the difference between utility tokens and security tokens. Regulatory requirements can put any investment in ICOs at risk if you don’t understand the differences and how the law applies to them. Utility tokens vs. security tokens: what‘s the fundamental difference? How does the fundamental difference between utility and security tokens affect ICOs? ICOs are hot. In 2017, blockchain-cryptocurrency start-ups raised US $ 5.6 billion through ICOs. There were a total of 902 ICOs last year. From the data available thus far this year, 2018 is set to be even bigger in terms of numbers of ICOs being held. The unregulated nature of ICOs provides multiple advantages to start-ups, who can avoid the paperwork and hassle involved were they were to raise funds from Venture Capital (VC) funds. Instead, companies can create crypto tokens using popular platforms like the Ethereum blockchain. To launch their own ICO, companies only need to create a professional-looking website, draft a well-written whitepaper, and market their ICO digitally. If their ICO is a hit, then they could raise millions of dollars without needing to borrow a dime! Raising funds from Venture Capitalists involves a lot more stress and rigor. ICOs also remove the barrier that keeps many individuals from entering the investment market. In the US, only individuals with at least US $ 1 million in semi-liquid net worth excluding their primary residence can become accredited investors. Alternatively, individuals can qualify if they earn in excess of US $ 200 k per annum in net income for at least 2 years prior to applying. For families, the threshold is US $ 300 k per annum. Their popularity notwithstanding, ICOs still remain largely unregulated. This means that investors have very little legal protection against unfair practices. It is for this reason that you must be aware that you invest in ICOs at your own risk. With no regulatory agencies overseeing ICO launches, never invest money that you cannot afford to lose. There are a number of ways that unscrupulous companies aim to benefit from ICOs. One such example is the pyramid scheme, where new members are enrolled with a promise of payment or other services if they, in turn, enroll new members. There is real no product or service behind the ICO. Once enrolling new members becomes impossible, most members make little to no profit at all but rather incur big loses when the value of the token plummets. Pyramid schemes are illegal in most countries, but rogue companies have found ICOs an excellent way to get around these laws to raise ‘free’ money. Fortunately, there are way to identify such schemes, and the crypto community keep a close watch on such potential scams and alert other investors via forums etc. However, the risks still remain. Another risk that results from a lack of regulation around ICOs is the possibility that you invest in a crypto token that should‘ve been categorized as a securities token but wasn‘t. Should this occur then your funds may be frozen for a long time while regulators undertake an investigation against the start-up. In the US, the Securities and Exchange Commission (SEC) has already published a report in 2017 where they categorized DAO tokens as securities. Since hardly any companies had declared their tokens as securities in 2017, many investors may have found themselves caught out by this change in the law. According to this definition on what constitutes a security from Investopedia, Investment securities are tradable financial assets, for e.g. equities and fixed income instruments. Investors purchase and hold them with an expectation of future profit. In short, if you buy a security then you have some ownership or stake in the company. In the US, the SEC determines whether a transaction is a security or not by conducting ’Howey Test‘. The Supreme Court in the US has mandated this test after it was created in 1946. If you purchase a financial commodity with an expectation of a future profit, then it’s a security. If the primary objective of the commodity is to make a future profit, it qualifies as a security. Is there a single issuer for the financial instrument? In that case, someone is in charge, and it’s a security. On the other hand, if a democratic network governance-based organization issues it, then it’s not a security. Now that you know how to determine if a commodity is a security, lets look at how this applies to cryptocurrencies. Before I do, however, I need to first differentiate between coins and tokens. This is because regulatory requirements apply to tokens. All cryptocurrencies are a form of money. However, not all of them are coins. Bitcoin is a coin because its’ purpose is to facilitate payments across a decentralized network. Ethereum and Ripple have other use cases, for e.g. to facilitate smart contract use in case of Ethereum. Despite this, like Bitcoin, they also facilitate payment transactions across a decentralized network. However, these still classify as coins. But why is this the case? There is another test to judge whether a particular cryptocurrency classifies as a coin. If the cryptocurrency has its‘s own underlying blockchain, then it‘s a coin. Bitcoin, Ethereum, and Ripple have a prominent payment use case, and they also have their own blockchain network. Thies is why they are coins. Other cryptocurrencies don’t classify as coins. For e.g., the ’Golem Project‘ has a cryptocurrency, GNT. You need GNTs to use the Golem DApp. However, the project is built on top of the Ethereum blockchain, and that platform has its‘ native cryptocurrency, i.e. Ether (ETH). While GNT may have value, it‘s built on another blockchain, which utilizes another native cryptocurrency. Hence, GNT isn‘t a coin, but is a token. Therefore, if a token has a payment use case as its’ primary function and has its’ own blockchain, then it is a coin. However, if the tokens are secondary assets and are not supported by their own blockchain then they are tokens. If you are buying tokens in an ICO with the expectation of future profit, you are buying securities. If you are not sure then you can apply the Howey Test to confirm whether you are in fact buying securities. Siacoin is a good example of a utility token. Its primary use case is to allow people to use the Sia network, i.e. the decentralized cloud storage network built using blockchain technology. Token transfer within the network acts as a payment for service consumption. While tokens do appreciate when the network becomes more and more popular, this is not their primary use case. It‘s the Sia network which acts as the entity in charge of issuing Siacoin. This fact means that the token fails in this aspect of the Howey Test. Also, since the primary objective is to access a service, Siacoin is not a security but rather a utility token. The security tokens represent a stake in the company, whereas the utility tokens don‘t. An investor expects steady appreciation of a security token as a return on their investment. The natural demand-supply equation makes constant corrections to the value of any one utility token. If the utility token appreciates a lot, it can result in the product or service being seen as being too expensive, so the demand will drop. This reduces the price, helping the demand to pick up again. This is an endless cycle that causes constant variation in the price of tokens. If you are one of those Bitcoin investors who found themselves saying after the crash of late December/Early January that the price “will go back up”, you will no doubt understand that this is not always the case. Prevention of deceit, misrepresentations and other fraudulent activities. The SEC in the US is the regulatory authority that oversees the securities industry. Issuers must register their investment contracts with the SEC. Dealing in securities without appropriate registration can result in lawsuits, fines, penalties, and even imprisonment. There are important disclosure requirements, for e.g. corporate reporting, disclosures related to proxy solicitations, etc. The SEC also has broad authority to oversee the securities market to prevent unlawful activities such as insider trading. All issuers of securities need to comply with important ’know-your-customer‘ (KYC) and ’anti-money laundering‘ (AML) requirements. These are costly and takes time. Securities must comply with these regulations. Firstly, start-ups create their tokens, whitepapers, websites and other marketing material. They then launch their ICO. Most ICOs are in fact security tokens, but many are disguised as utility tokens citing one or more primary use cases that make them appear as utilities. They do this because utility tokens don‘t need to abide by securities regulations. Aggressive marketing strategies try to sell the idea of huge profits to investors. Remember that regulators work on the ’substance over form‘ principle. Even a utility token, if sold with the expectation of future profit, qualifies as a security! Start-ups regularly fail to register their offerings with the SEC and don’t follow any of the reporting and the disclosure requirements. These companies risk prosecution. The crypto market cap currently hovers around $300 billion. ICOs have raised an estimated $5 billion already in the first 3 months of 2018. With so much money pouring in, it seemed inevitable that regulators would act. Regulators stepped in earlier this year. In the US, they set up an official cryptocurrencies task force and have already sent out eighty subpoenas to the issuers of the crypto tokens. The SEC has already put non-compliant ICOs, for e.g. Tezos, and Centra, on notice. The SEC is also questioning existing projects, for e.g. ICONOMI to find out if they were in breach of the law. Corl: Their blockchain platform is for funding of start-ups and small businesses. It‘s clear that the SEC isn‘t against ICOs. Rather they are simply cracking down on start-ups that have issues security tokens that flout existing laws. This attempt to undermine the law not presents risks for investors, but also for future blockchain-cryptocurrency projects. How? Read on. By now, you know that unregulated ICOs represent a potentially high risk investment for anyone. Some start-ups don’t abide by regulatory requirements risk being shut down. In the case that things go wrong, you don’t have legal recourse against malpractices. The ICO with a low price of the token, for e.g. US $ 0.01 was successful. The game becomes viral, and the token appreciates 100-times, to US $ 1. The new players will now no longer spend a cent, but a dollar, to play the game. Remember that this is not a high-value service like Sia network, and the new players will soon become disillusioned to spend a dollar just to play a game every time. They will exit, bringing down the value of the token with them. Soon it will be the end of the project, with the negative sentiments prevailing in the crypto community proving too heavy a burden. Utility tokens are suitable where the project has a long-term valuable product or service. Now, consider that the institutional investors won‘t enter the ICO space with unregulated crowdsale events selling security tokens disguised as utility ones. You can see how future blockchain-cryptocurrency projects will miss out on the big capital if this continues to happen. Let‘s face it: strict regulation is needed. Blockchain-cryptocurrency start-ups can‘t avoid regulations over long-term if the industry is to grow to its full potential. Investors of all shapes and sizes need protection from fraudulent practices, misrepresentations about the nature of the investment contract, and Ponzi schemes. They will lose trust in the system if their reasonable interests aren’t protected. The practice of selling security tokens disguised as utility tokens, without following the due processes that help to protect the investors, is not a good long-term business practice. It certainly isn’t sustainable and this is why we need regulation. It is true that there are more inconveniences of having to register tokens as securities, including the need to conduct reports, disclosures, and also abide by KYC, and AML processes. However, this short-term cost is certainly far more desirable to the industry as a while than a massive loss of investor confidence in the blockchain-cryptocurrency projects which is likely to occur from the negative press generated by fraudulent ICOs. 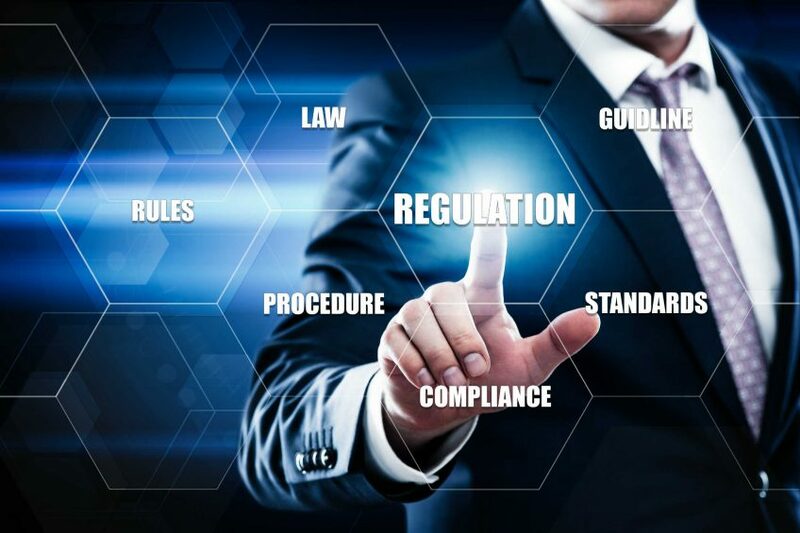 The regulatory bodies in multiple countries are already working on formulating appropriate regulations for the blockchain-cryptocurrency space. While we wait for them to come up with suitable guidance, start-ups should take the first step and self-regulate by being sure to declare security tokens as securities, and follow the regulations for this asset class. This is in the long-term interest of the industry. and will ensure the good health of the ICO industry for years to come. How To Build A Healthcare SaaS Platform?